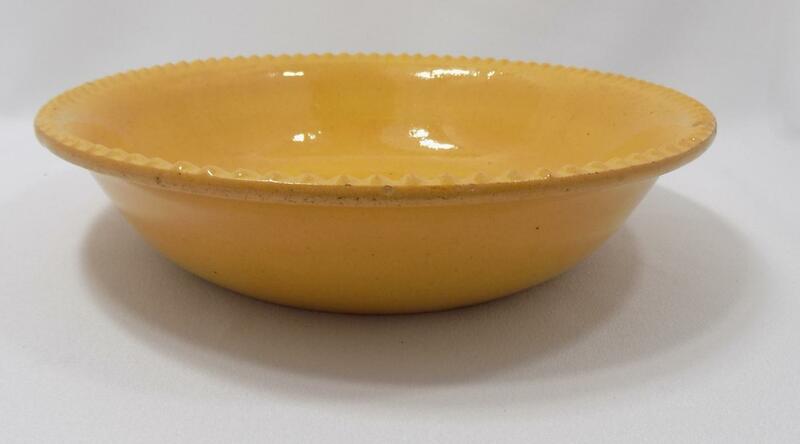 James Bennett (1812-1862) from North Staffordshire in England worked there in a pottery making yellowware. 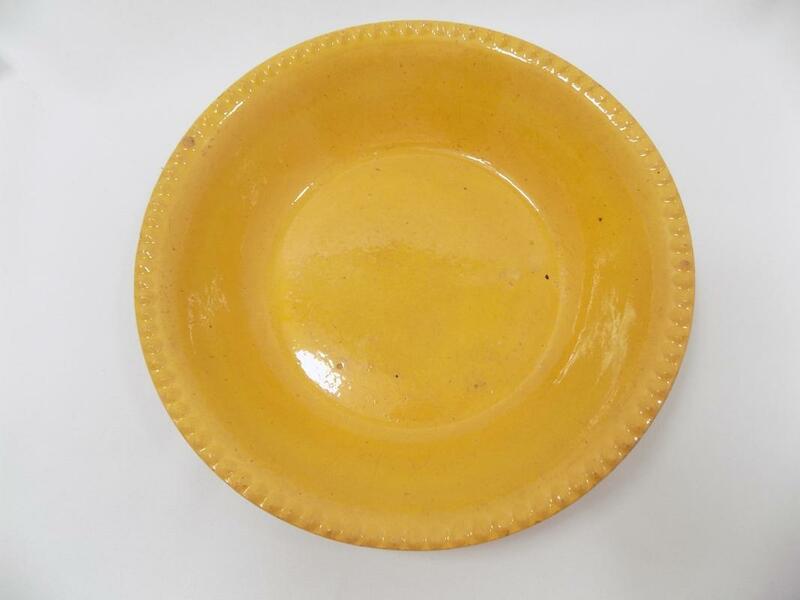 After emigrating to America, he was traveling from Cincinnati, Ohio, to Pittsburgh, Pennsylvania when he discovered the abundance of yellow clay available in East Liverpool. 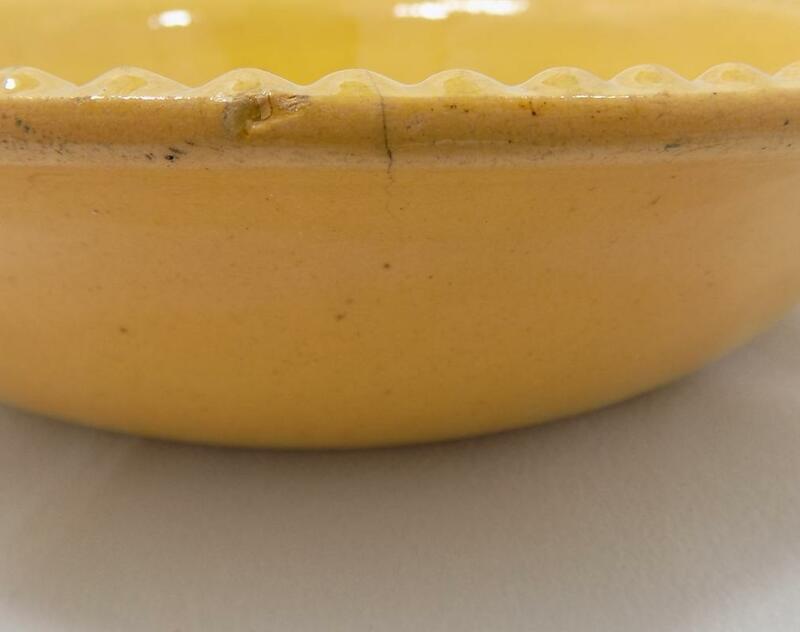 He established his own pottery there and in 1841 went to England to bring his three brothers to join him at the pottery. 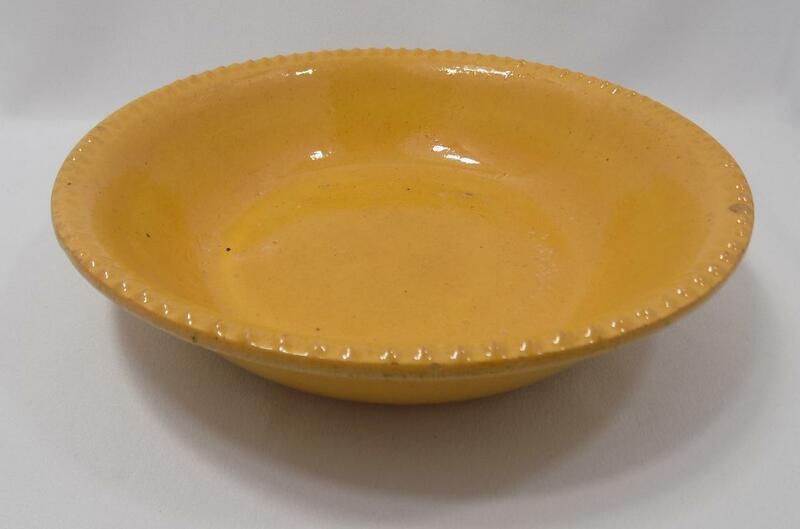 In 1845 they closed the Ohio pottery and moved to Pittsburgh, where they became successful, shipping their wares up and down the Ohio River. 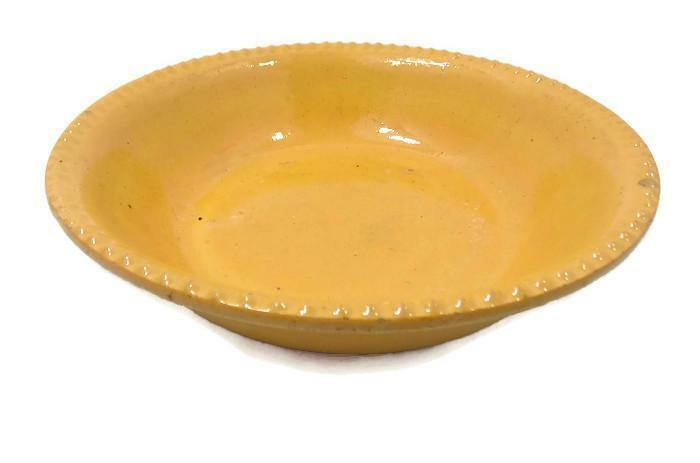 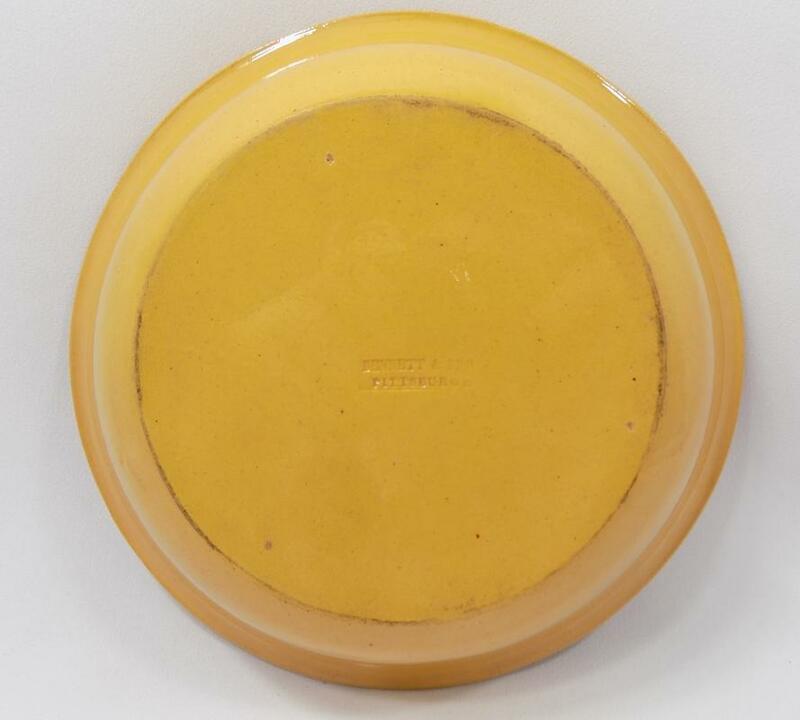 They sold the pottery in 1853; this yellowware pie pan was made during those eight years the brothers were in business. 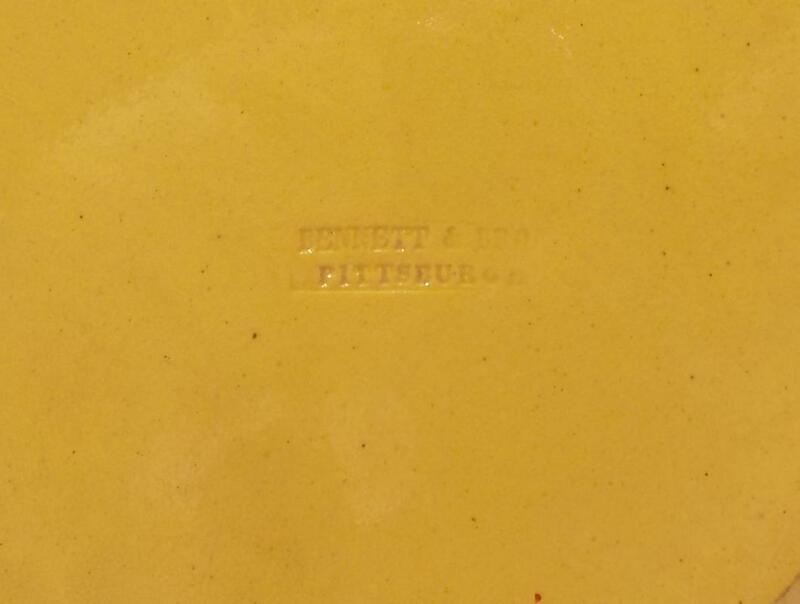 The impressed mark on the bottom reads: "BENNETT & BRO PITTSBURGH"--a very rare mark, since only about 5% of yellow ware is marked and since the pottery was located in Pittsburgh such a short span of time.